Brenna and Tagg stood in the shadows within the remains of the shattered garage. It was the only surviving part of the home which had once stood on this spot. When hurricane Katrina lashed the coast it had wiped out entire neighborhoods and this small town on the Mississippi coast was no exception. 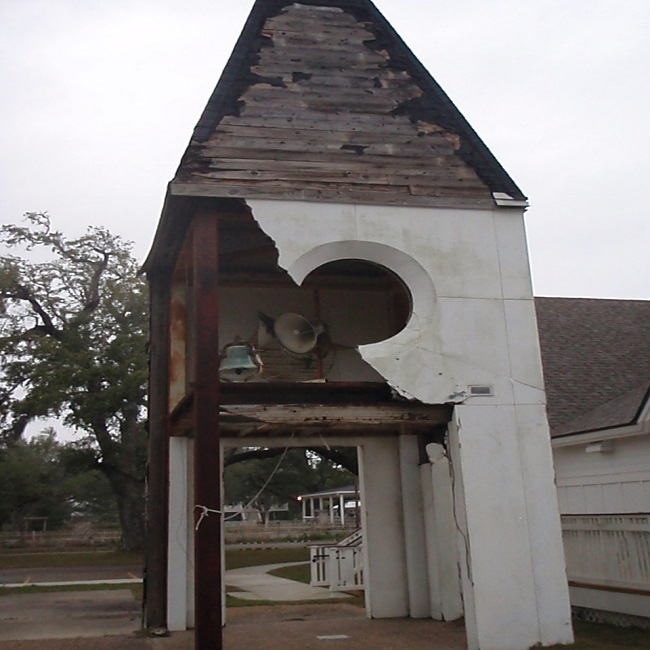 There were less than a dozen structures visible within a quarter mile; the partial garage was one and the church which was the subject of their scrutiny was another. The church, once known as the Chapel of Our Lady of the Waves, was not much more than a ruin. The shingles had been stripped from the roof and hundreds of small holes were torn in the wood below. The white clapboards had been mostly stripped from the walls and those which remained were shattered and split. The bell tower which had once called the faithful to services had lost half of its exterior and stood like an anatomical diagram, half skeletal and half still clothed in its skin. The bell still hung in the belfry, untouched by vandals but it would never ring out its call to the faithful again. Brenna leaned close and whispered in Tagg’s ear. He turned to his companion with a look of annoyance and pointed at his eyes. Brenna’s gaze followed his gesture and she barely repressed the shudder as she stared at his strange eyes. The iris and pupil were a solid black but it was a black much darker than the normal eye. His eyes appeared to be pits opening on the depths of space. Small blue-white filaments crisscrossed the iris and seemed to writhe as if moved by some current within the eye. Tagg had been transformed by energies from outside the universe summoned by the very cult they believed to be inside the church. He was now sensitive to those energies and saw them as a glow around objects and people. This allowed the duo to track the cult across the country and eliminate them before they could harm innocents. He was the perfect tracker of the cultists but the physical change was unsettling to any who saw him, turning Tagg into an outcast among those he strove to protect. “Yes mom,” Tagg smiled at his partner. Brenna had spent her life training and battling the cultists. She was part of an ancient order dedicated to defending humanity. Tagg had been a normal man until two years ago. 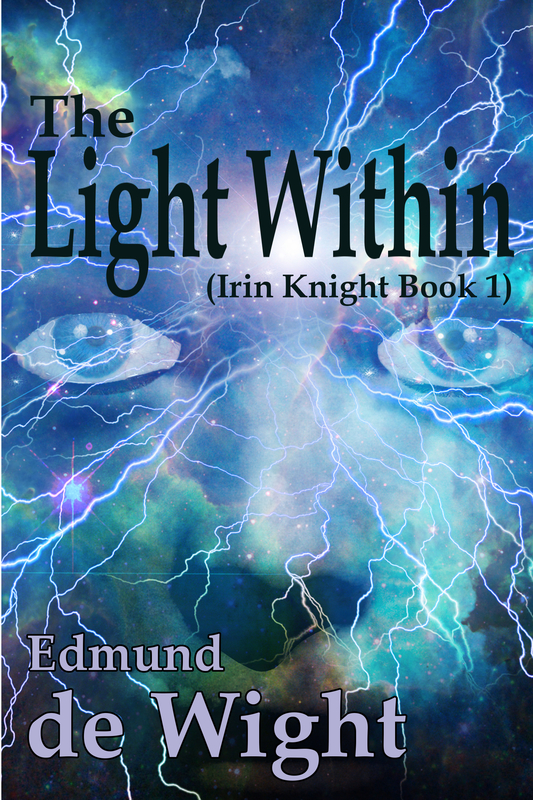 Circumstances beyond his control had brought him into her world and she still struggled to keep him safely out of danger even though she needed his special gifts to find the cultists. The pair split up and jogged to their respective entry points. Tagg heard the crash of the front doors as Brenna made her entrance and he used the distraction to quietly slip inside. The inside of the church was a disaster area. Mold and encroaching vines covered the remains of the walls. The pews had been ripped from their orderly rows and tossed to the sides of the room. The dais at the front of the church had long ago been stripped of valuables and religious artifacts. A pair of hostages knelt in the center of the dais, their heads were covered by burlap sacks and their arms were tightly held behind their backs by heavy zip ties; they appeared to be unharmed. Four cultists in ragged robes stood in the center of the church, paused in mid chant. They all stared at Brenna who stood in the shattered doorway. She held her Ancath, the ritual weapons of her order, at the ready. “Party’s over boys,” she shouted. A moment of silence hung over the church like the calm before the storm and then with a shout both Brenna and the cultist charged toward each other. Brenna spun like a ballet dancer as she fought. Her Ancath, each a yard long rod of metal inscribed with ancient runes of power, lashed out with crippling force. For their part, the cultists brandished jagged blades which sparked as they were blocked by the Ancath. Tagg watched the battle for several seconds before he gathered himself and turned to the hostages. “You’re safe now, I’m here to help,” he said as he cut their bonds and removed each one’s hood. The hostages, a male and a female, were young teens. Tagg guessed them to be siblings due to their common appearance. Their eyes were wild with fear and tears streaked their faces. The girl looked up at her rescuer and let out a small shriek as she met Tagg’s eyes. She started to move away from him but then saw the battle raging in the center of the church and stood like a trapped animal, unsure which course held the least danger. He matched action to words and began to move toward the rear of the church, motioning the youngsters to follow. The pair locked eyes, each other hoping the other could supply the right choice. A cry of pain echoed through the church as one of the cultists went down in a spray of blood from a shattered skull. This seemed to make up the girl’s mind. She looked at Tagg again and shuddered but urged her brother into motion and both followed Tagg out of the building. Tagg and the youngsters ran to the shelter of the garage and he stood guard with his pistol at the ready. Time seemed to slow and his vigil felt like hours until Brenna finally emerged from the shadow of the church sheathing her Ancath. She smiled at the pair of youngsters who huddled together, shaking in reaction. This entry was posted on August 25, 2018, 8:00 am and is filed under FREE Fiction. You can follow any responses to this entry through RSS 2.0. Both comments and pings are currently closed.